In the past few hours we’ve seen some significant changes happening at the App Store on iPad which seem to coincide nicely with the launch event tomorrow. 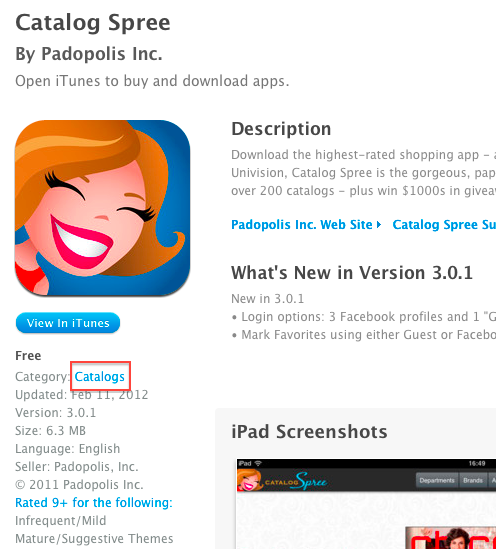 Additionally, Joaquin Ruiz the CEO of Catalog Spree, a catalog app for the iPad, noticed that today Apple added the Catalogs category to the App Store for the iPad – and added his app to the category (right). 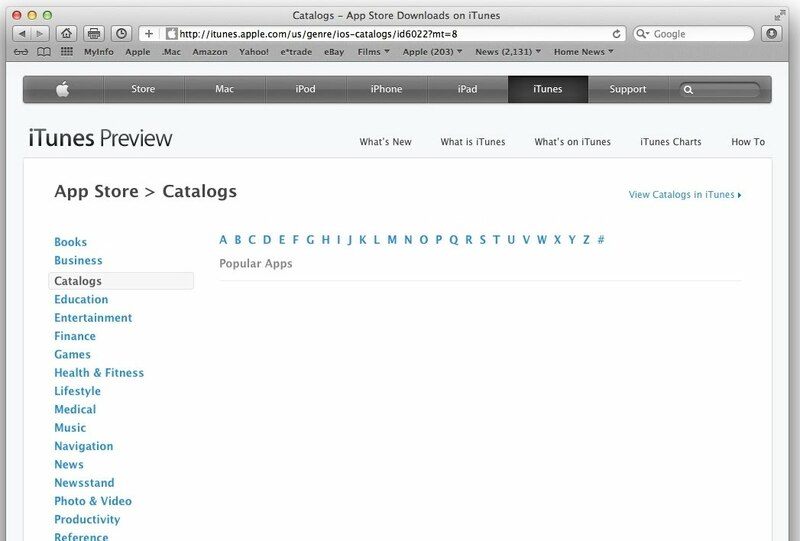 ‘Catalogs’ is listed under Lifestyle and is currently empty but with a Retina display on show for tomorrow, it would be surprising not to see a few more catalogs show up.